8.5x11", softbound book (color perfect binding), 154 pages, includes historical material, interviews, photos, and a brand new index that includes every name and place in this new publication. 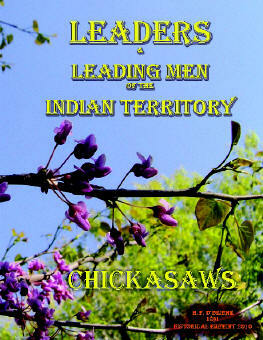 This work was originally printed as part of a Choctaw and Chickasaw volume in a smaller size format. This new edition contains the original pages, digitally modified for the larger book size and readability.